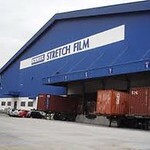 THE subdued Malaysian plastics sector is rustling with activity especially since stretch film major Scientex is buying its rival packaging firm GW Plastics Holdings�s (GWP) Great Wall Plastics and GW Packaging for RM283 million. Scientex is one of the world's top five producers of stretch film and the largest in Asia and is planning to acquire Great Wall Plastics Industries and GW Packaging, both wholly-owned subsidiaries of GWP, subject to approval of the respective board members. Scientex has said its industrial cast film production capacity will increase by a third to 154,000 tonnes from 120,000 tonnes currently, making it one of the world's largest industrial plastic packaging manufacturers and exporters with sales reaching RM1 billion.